As we leave behind 2012 and usher in 2013, especially after the celebrations are done and we begin to feel the reality of our previous night’s partying set in; our minds turn a bit reflexive. New Year’s resolutions come to mind. Will we be a better person in the coming year? Are we going to improve our selves in some way? What types of resolutions are we going to put forward? 47% of Americans regularly make resolutions every year. New Year’s resolutions are easy to make but can be hard to keep, and the majority of resolutions don’t make it past the two week mark. So how do you turn a resolution a habit? Be Focused: Large, unspecific resolutions are the hardest ones to keep. I want to become more organized, but then I see the pile of papers on my desk and know that isn’t going to happen. But if I break the resolution down to specific action steps to be taken over time, the resolution will stick. Same with spend less and save more. It’s easier to say, I will put $20 aside every week for a specific purpose or goal in mind. Focus your energy to a specific goal and chuck the unspecific resolution. Be Accountable: Measure your progress and report it to others. If it takes a making a chart, graph, or blog, then do that. Let others know your progress (or pitfalls) and use that a motivators to continue on the path. Positive reinforcement is the best way to achieve your specific goals. Don’t quit cold turkey: Most psychologists agree that cold turkey isn’t a long term solution. It may work for a week or two, but if the empty void that quitting cold turkey causes, most people will relapse back into their habits, or worse pick up a new bad habit. Instead, join a support group or create a plan that allows the bad habit to taper off in reasonable fashion. You’re not going to counteract the damage done by years of bad habit by stopping instantly. Be prepared to work towards your goals. It can take 12 weeks for a good habit to replace a bad one. Good luck with your resolutions and if you keep your resolution and hit your goal, don’t forget to reward yourself for a job well done. 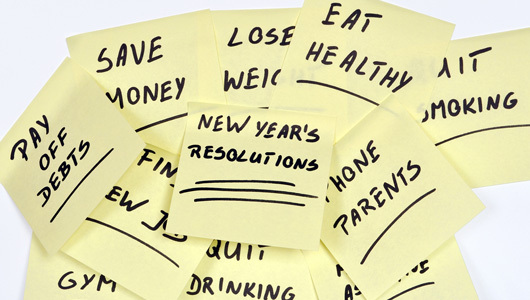 What are your resolutions for 2013 and do you a plan to help keep them? Feel free to share in the comments below. Have a great and prosperous 2013. I will be holding a “make resolutions stick” class later this month. As a life coach, and weight loss coach, I find that having another person help in holding you accountable for your goals can be very beneficial. That is one reason support groups like weight watchers have success. Whether you go to weight watchers, hire a coach, or go at it alone…try this….write down your goal…build a reasonable path toward that goal starting from the desired end of the path and build backwards to where you are now…take action everyday even if its only a little…plan for roadblocks…identify and remove limiting beliefs…use positive correctly written affirmations. If you would like to attend a class feel free to email me at TrueNorthPath@yahoo.com or friend True North Coaching on Facebook, and I will make sure you get the info.